Following the lead of several other Georgia towns, Holly Hills gets on board with the idea of adoption — not sales — being offered in pet stores. Following the lead of two other Georgia cities including Canton, the Holly Springs City Council has voted to bar local pet shops from selling dogs and cats. They will, however, be permitted to adopt out animals from shelter and rescue organizations. Back when Canton passed a similar ordinance, the vote was met with a loud flurry of applause and effusive words from citizens in attendance, the Canton Patch reported. Many residents came out to show support for the ban, though an ample group of opposers showed up, as well. Donning red T-shirts that read “No Retail Pet Ban,” they represented the employees of several large retailers and other organizations against the ordinance. Carol Mudd, a veteran volunteer with with Cherokee County Animal Shelter, was among those who called on the council to approve the ban in Canton. She told reporters that during her nine years working at the shelter, one of her most “deplorable, heartbreaking” experiences was when they took in hundreds of dogs in connection with a puppy mill discovered within the county. She added that the pets aren’t the shelter staffers’ only concern, either. The Holly Springs City Council vote now bars local pet shops from selling dogs and cats, but allows them to offer animals for adoption obtained from a shelter or rescue organization and requires shops to maintain records documenting the source of their animals for at least one year, for inspection upon request by the city manager, police chief or other authorized person. Pet shops that offer dogs or cats for adoption also must post signs listing the name of the shelter or rescue group that provided the animals. 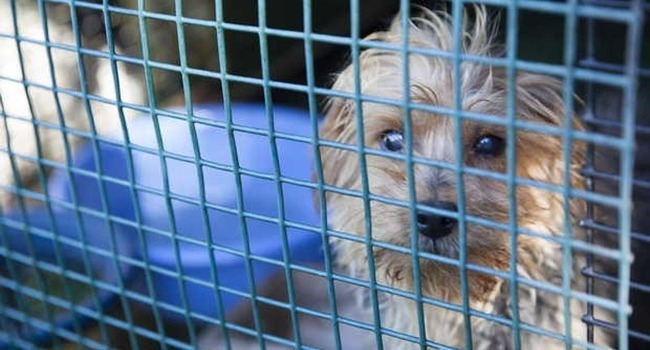 Canton’s ordinance, citing the Humane Society of the United States, said 10,000 puppy mills produce more than 1 million puppies a year, that most pet shop dogs and cats come from such sources, and that abuses have been documented with these sources. How I wish this could’ve been done to our city as well. So many rich people trying to prove their status by buying expensive breeds, when there’s plenty of sweet dogs and cats in the shelter, waiting to be put down. And it breaks my heart always.